Presentable grilled steak in a Canadian beefTasty Alfredo PastaThe pizza and salad were delicious.I had the 7 oz lobster tail and my wife "built" a seafood pasta. 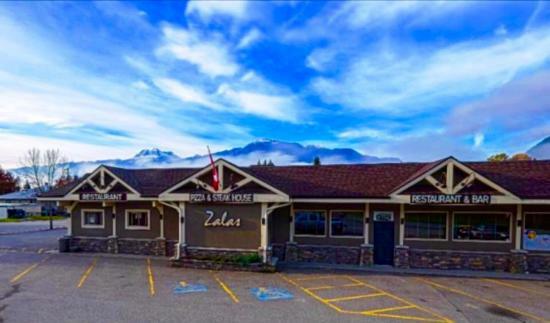 For authentic Italian food in Revelstoke, visit Zala's Steak & Pizza House. We use the freshest ingredients when preparing your order! 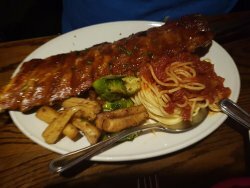 We offer dine-in, delivery and takeout for our fantastic assortment of dishes including BBQ chicken, pizza, pasta, lobster, seafood fettuccine and more! Call us today to place an order or to make a reservation. 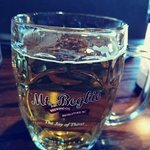 After a day at the ski hill this did the job. We had burgers which were fine, service was ok...a little dark when you first enter, food not the fastest coming out but we were hungry so probably felt longer than it was. The staff was friendly and our server was great. 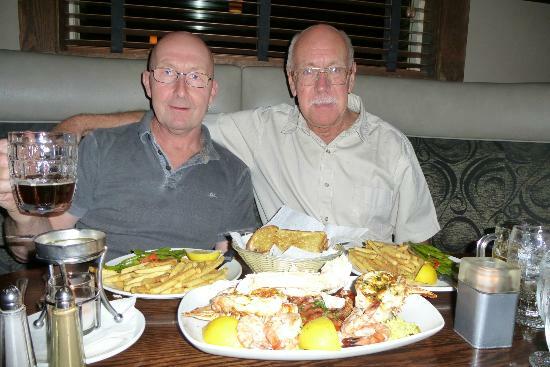 We oldered the special which was steak, prawns, veggies, potato and bread for $28. It was excellent. I was skeptical but my friend wanted to try it; pizza was phenomenal. Service was great. I can’t remember what the serving size to cost ratio was. Helped that it was right next to our lodging. 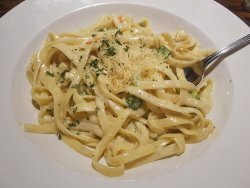 Great Food, Great Service ... nothing bad to say! We came here on the spur of the moment. Very pleased we did! Service was good. Big helpings (groan) and all very tasty. Happy to recommend. Would come back. Food and service at Zala's is always excellent. We always eat here when in Revelstoke. Attentive staff and a great variety for a selective family! We ordered off the menu but the place was soon full and EVERYONE ordered pizza! They all loved it! We had steak which was cooked perfectly. 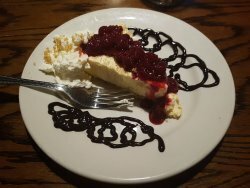 Get quick answers from Zala's Steak & Pizza House staff and past visitors.